Hey, I'm Houdini. I work magic with elo. I offer my expertise to all, so I've lowered my coaching price all the way.. The effort and quality is the still the same, do not worry. Plus Ultra! Click "view profile" for details. I will also work magic with you. A League magician like me DOES reveal his secrets. Master Tier Ranking for three seasons straight is not bragging, but fact. Imagine if you got there. I placed Silver I when I started three seasons ago. Forget coaching from those who haven't dug their way out of elo-hell themselves, and have truly forgotten what low elo is REALLY like. I've been there. Literally. And now that I'm out of Elo-Hell, please, let me teach you the path to Elo Heaven. As for boosting, I won't let my justfified confidence get in the way, no restrictions or bans, under any circumstance. My reviews can attest to that. As for performance? Well, my peak rank is 400LP Master, finished Master in Season 4, 5, 6, and soon 7. Looking at Season 8 now, friends. 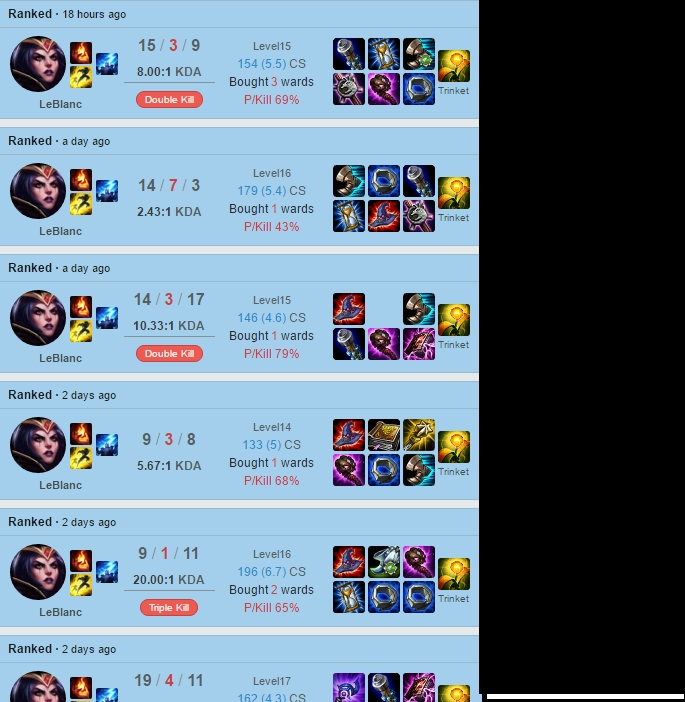 My boosting experience is perhaps two-fold on top of that. 70+ percent winrate, even playing specifically requested champions, support, duo-boosting, AND coaching games. For the low price of 15$ (one of the lowest coaching prices), you can become better at League. Without grinding hundreds of games. Take advantage of your resources, there is no need to hesitate. Take it from me, you won't become better by just sitting around. -How to go about learning general mechanics, awareness, game knowledge, and mentality. -Techniques to acquire victory, finding patterns and adjusting playstyle tactics. -Proper analysis habits, and just how to improve by yourself. -DuoQ games and duo synergy practice, with voice-chat directly from me throughout. If you have specific champions you would like to get better at, just say the word and we can focus on those above all else. I can coach every position at a high level and can also help give you some simple advice to keep climbing after a session. My absolute best positions are Mid, Support, and ADC. Lesson plan basics generally include Replay Analysis! Replay.gg and other recording programs can be a big help. Please be ready to get some recording software, or have games recorded on op.gg. If you'd like to play a few games together, we can try that as well! As an end note, do not be afraid to ask questions. What is teaching, except to provide answers to your problems? very nice guy, has a great selection of music to listen to, and very accommodating to my unforgiving schedules. Awesome booster! Very cool, friendly and enjoyable. Learned a lot from his helpful tips. I would definitely choose him again. Highly recommend for future boosting and coaching! Horrible booster, dude played my placement and then left for 2 days without telling me anything where he went, and never continued. got tilted and had to pause because hes moving out. 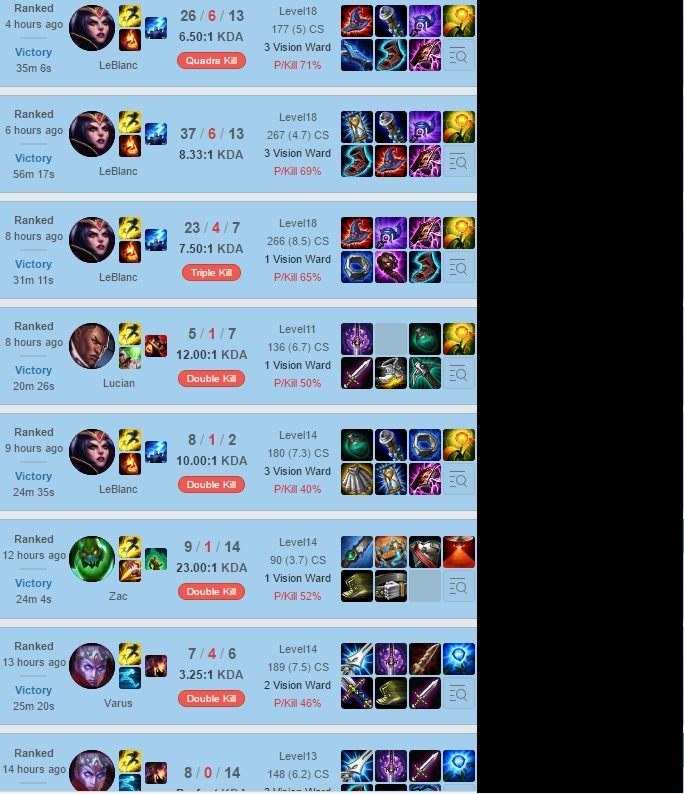 first couple games were good though. AWESOME GUY! HE WAS ALWAYS WILLING TO HAVE A CONVERSATION, AND HE DID DELIVER THE RESULT THAT I WANTED!